A biofeedback machine, SCENAR was initially developed in Russia for the astronauts to be use in outer space as a self controlled and self regulating device, which is based on the feedback the body provides moment by moment during the session. In order to maintain health, the body relies on accurate communication. However, when the body is stressed, injured or diseased the "communication" is impaired. The SCENAR device "restores" communication by merging its signals into the activities of the nervous system to stimulate and assist in the body's natural self healing. SCENAR works through the skin on the fascia and the Meridians to stimulate the Central Nervous System. The biofeedback signals change the information that the brain sends out, thus activating the body's self healing potential. It is equipped with different settings and modes to adjust to any situation. It is a safe and "organic" process, non-invasive and non-addictive. 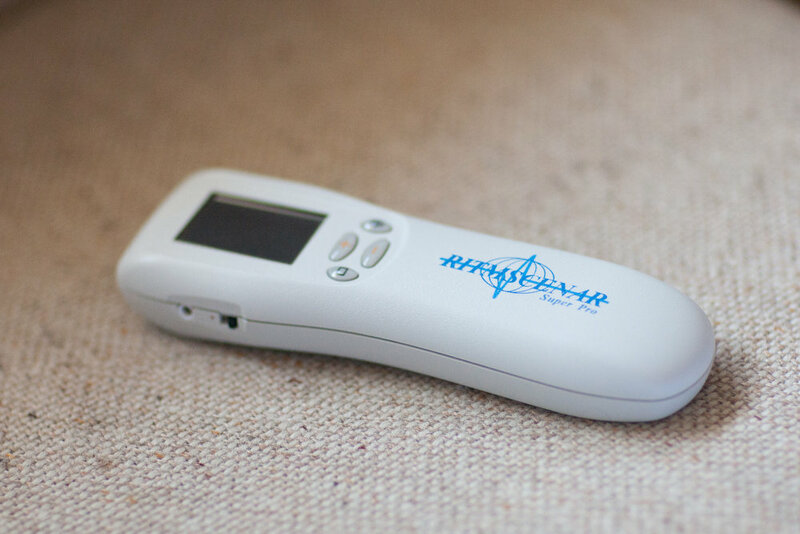 It is an all-purpose therapeutic device that re-establishes the body’s natural physiological state and creates systemic as well as localized healing. SCENAR is used, as well, as an anti-aging therapy. Our health relies on the continuous exchange of information within the body. Each and every function of the body is interrelated and works in harmony with other functions – that is until stress, injury or disease disrupts that communication. The SCENAR communicates with all functions of the body through direct contact on the skin, tuning into the body’s inner communication, and understanding the body’s needs from the signals being sent back and forth. The SCENAR responds to these signals accordingly with gentle electrical impulses that communicate with the nervous system to stimulate the body’s own healing process, so your body can operate with maximum efficiency once again.
. The device works effectively as an anti-aging treatment by stimulating circuits throughout the nervous system. When used on the face, it is restorative and rejuvenate.